The Bagan Archaeological Zone of Myanmar is one of the world’s greatest archaeological sites and is a close rival to the Angkor Wat complex of Cambodia. I have seen how amazing it looks in pictures all over the internet. Ever since the country has opened its doors to the rest of the world, it has quickly become a popular tourist destination. 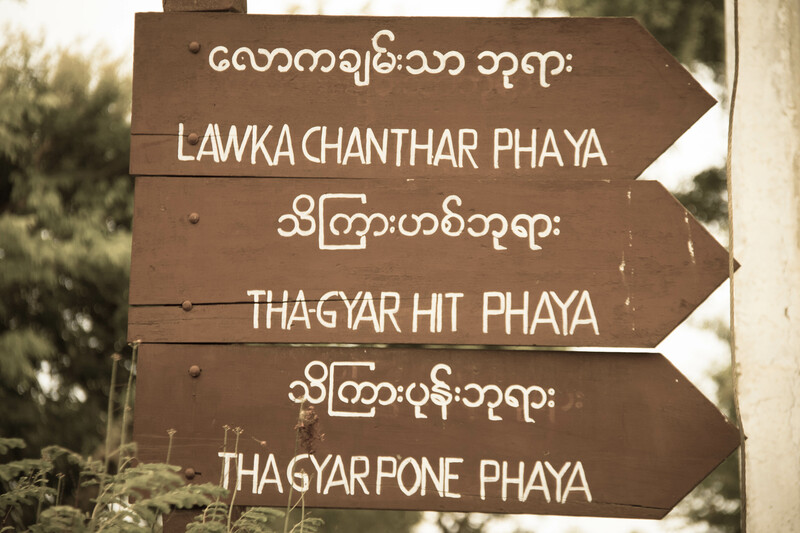 I have a Burmese colleague, I told her that I wanted to visit her country, especially Bagan. She was happy to help and that’s how my first trip to Myanmar pushed through. 7:00PM: Reached the Aung Mingalar Bus Terminal. Went to the JJ Express desk at the bus station. My colleague has paid and booked the ticket for me in advance (18,500 kyats) so I only need to mention my seat number and show my passport. They also have a list of passengers. 7:35PM: Board the JJ Express bus bound for Nyaung-U. I am seated at B3, a nice solo seat on the second front row. 8:00PM: The bus left Yangon. The hostess distributed some cold face towels and bottled water to everyone. 11:30PM: 30-minute toilet and snack break. We’re given some snacks of biscuits, cake, and our choice of softdrinks or coffee. Passengers can also buy food from the restaurant outside. 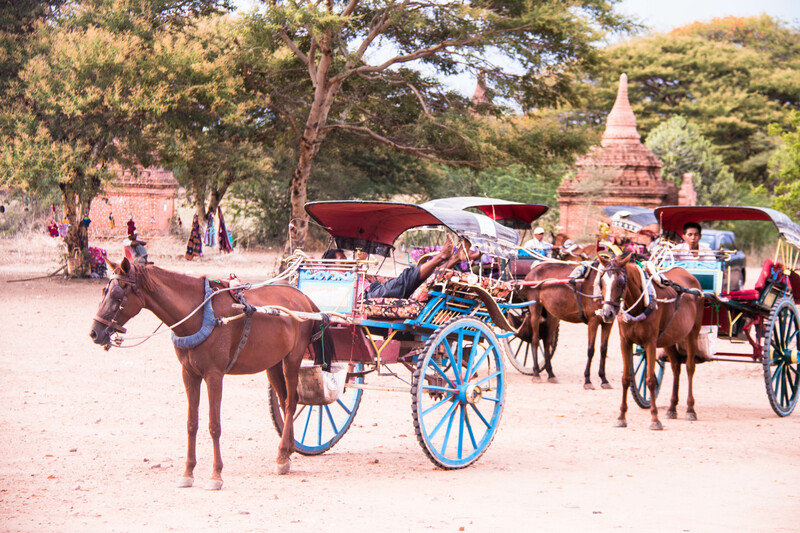 From the bus terminal in Nyaung-U, you will be approached by taxi and horse cart drivers that are waiting to take you to your accommodation. I took the horse cart for the experience (12,000 kyats). My driver also offered to take me on tour on my first day and I agreed because I thought I need to get familiar with the surroundings first. On my second day, I rented an e-bike just outside my hotel and explored this ancient city on my own. Citizens of most ASEAN countries can enter Myanmar visa-free. 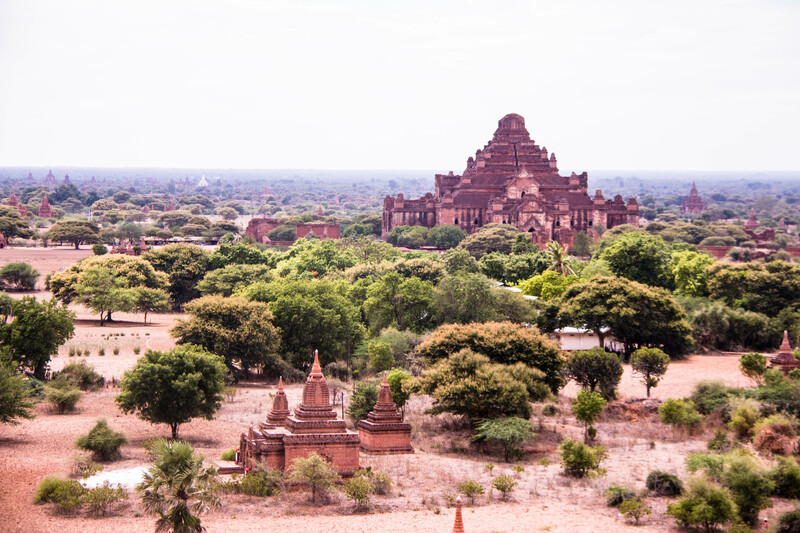 The entrance fee to the Bagan Archaeological Zone is $15. Carry that card everywhere you go in case of inspection. The best time to go is within the months of October to March. This is the season that the Balloons Over Bagan operates. 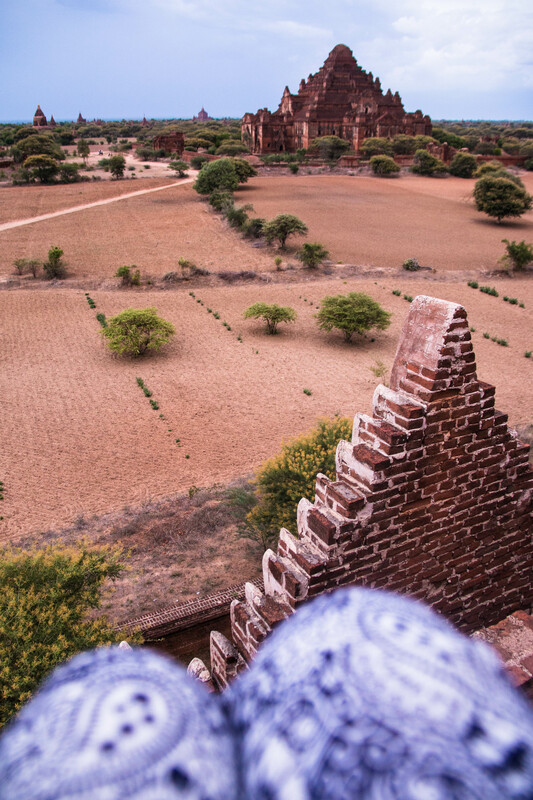 Bagan is hot all year round. Wear comfortable clothes but be sure to cover the shoulders and legs and take off your shoes upon entering the temples. In choosing accommodation take note that Bagan is divided into three areas: Nyaung-U, the closest to the airport with great value accommodations (this is where I stayed); Old Bagan, situated in the center and closer to the major temples but the accommodations here are expensive; And New Bagan, the farthest but you will also find here the cheaper accommodations. US dollars and Myanmar kyats are widely accepted. Exchange foreign currency at the airport before going to Bagan. Have at least $100 worth of kyats and the rest in USD. Keep your notes in pristine condition. If you are looking for good restaurants, head to the Restaurant Row (Yar Khin Thar Street in Nyaung-U). I recommend Weather Spoon’s restaurant. 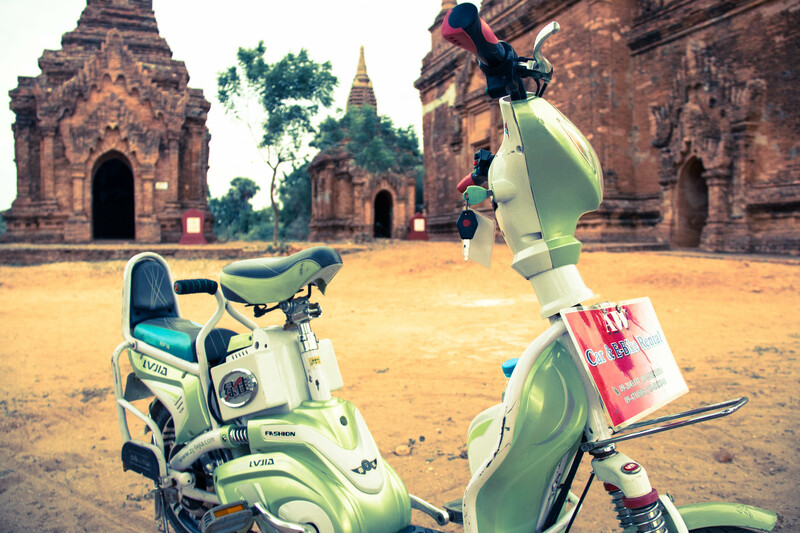 The best way to explore Bagan is by bike(5000 kyats/day) or e-bike (8000 kyats/day). 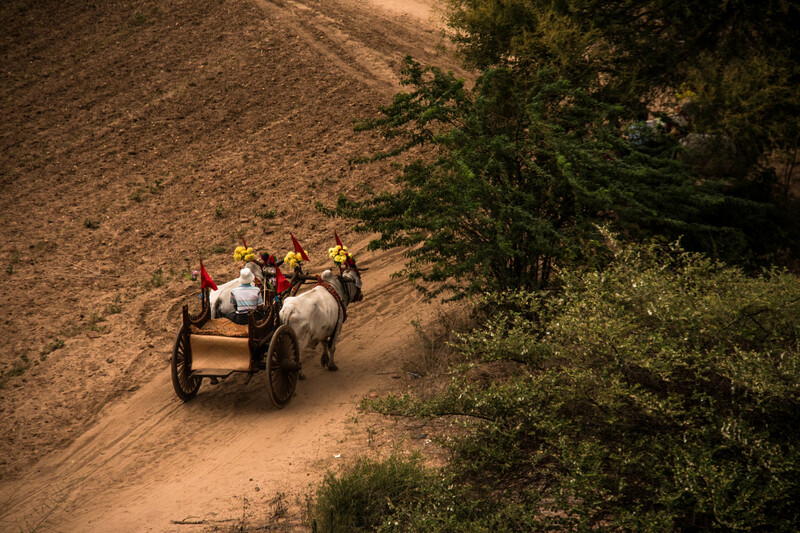 The horse cart tour is expensive at about 35,000 kyats for a whole day tour. Riding an e-bike is fast, fun and more convenient, however watch out for the battery. You cannot expect it to last the whole day. Before it runs out of power, bring it back to the shop where you rented it and they will charge it for you or give you another e-bike to use at no extra cost. 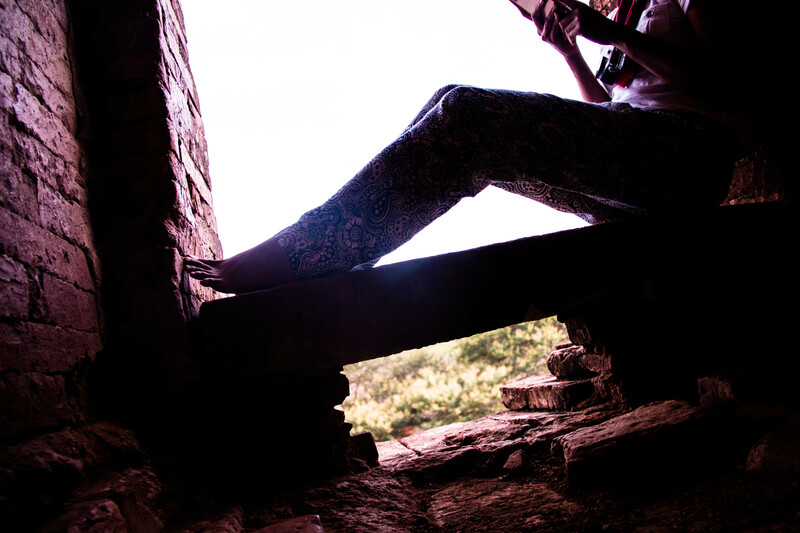 Two days in Bagan is not enough. If you have more time, I recommend that you stay longer to cover more areas and to get the most out of your trip. Here are some of the places I have visited. 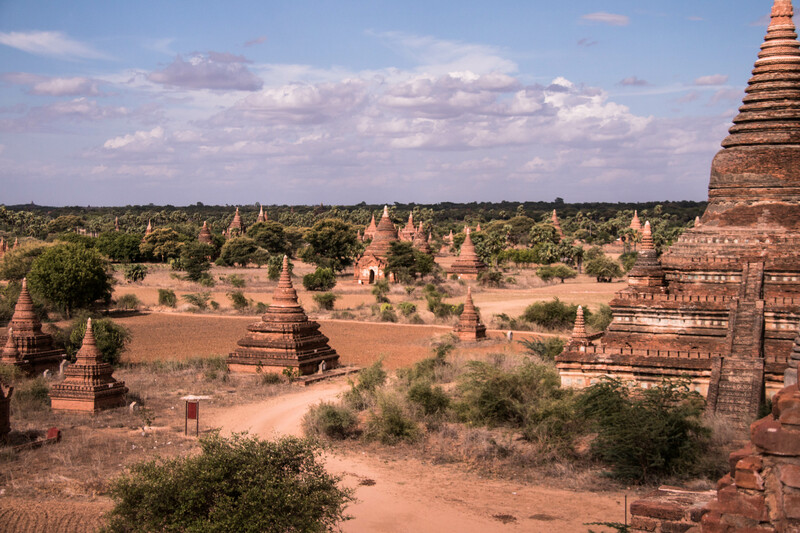 This beautiful gold-plated pagoda is one of the most significant religious structures in Bagan for it served as the prototype of later Burmese stupas. A large red brick temple named after King Htilominlo of the 13th century. It’s structure is quite similar to that of Sulamani. Outside the temple are souvenir shops selling local products. This temple houses four standing Buddhas facing the cardinal directions. Be prepared for the aggressive vendors on the way to the temple. One of them even kept my sandals in her shop while I was checking out the temple so that I can look at her merchandise afterwards. The structure of this temple somehow looks like the nearby Ananda Phaya. They say it’s the tallest temple but I don’t remember climbing it though. 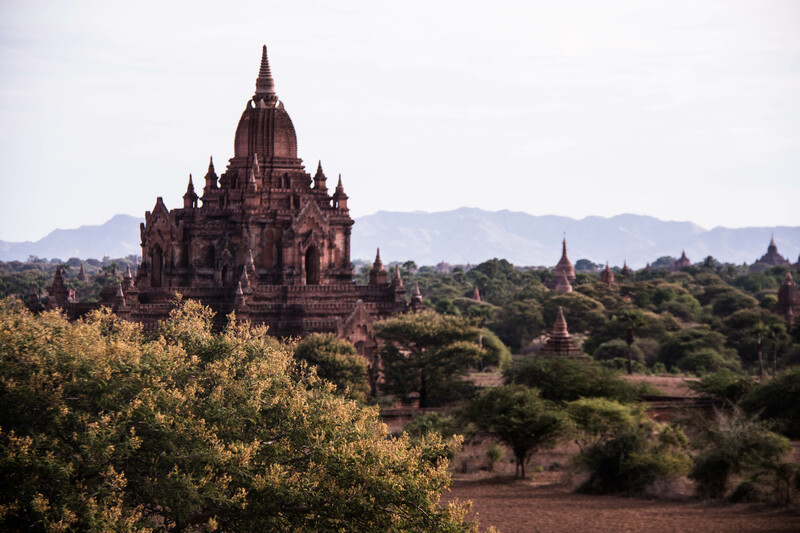 One of the most photographed temples and the most massive in Bagan. This is my favorite temple in all of Bagan because even though you cannot climb all the way to the top, there are many areas to get nice views. You will find that there are narrow steps on the corners of the temple that will lead you to your own “secret spot”. Also one of my favorite temples in Bagan. It’s fairly easy to climb and the views are amazing! It is near Dhammayangyi Temple. I stayed here on my last day in Bagan to wait for the sunset with other tourists but unfortunately, it was cloudy.